My husband and I have been in ministry for years, even before we met. We’ve always known that we would have children, and that we would be serving in church in some capacity. I studied music in college. But we didn’t consider much what those early years of leading worship and participating on the worship team would look like with squirmy toddlers in tow. When we had our first two kids, we were at a much smaller church than we’re at now. There was no nursery. But I didn’t want to stop my involvement in the worship ministry until my kids were old enough to manage themselves. So I kept leading worship. There was always someone to watch my kids, but I didn’t always know that until the last minute. And sometimes my daughter would come up to me during worship and want me to hold her. This was a little stressful for me, even though I considered it a privilege both to have children and to be able to minister. At the church where we are currently, there is a nursery service, which is a huge blessing! There were times when I would keep my youngest with me to nap during church (when I wasn’t on the worship team), and times when either one of my boys did NOT like me leaving them, but currently I’m enjoying child-free worship at church, which is a breath of fresh air. Involvement in church is still nothing like it was when I was single. Back then I gave it 100%. Now the amount of preparation for one single service is substantial. My husband is the worship leader, so he always arrives at church quite a bit before I need to be there, leaving me to get all three ready by myself. As my middle child has autism, he has a tendency to run off without regard for his own safety, so that means the two youngest are always restrained in public, either in a stroller or a car seat, or someone’s arms. It takes a perspective shift when you decide to do ministry with children. There are some things you must realize. First, your children are better off watching you serve in ministry. When we first had kids, my husband and I were running a non profit Christian after school program called Starfish Learning Center in the inner city of Chicago. We lived in the same building we worked. I remember walking my kids home from the grocery store one day and hearing gunshots across the street. Some would argue that it wasn’t the best environment to raise my kids in, but my littles were able to see me minister on a regular basis to the children of that neighborhood (although only my oldest will remember). It’s the same for missionary kids all over the world. You need to trust that God has your children’s safety and welfare in His hands. 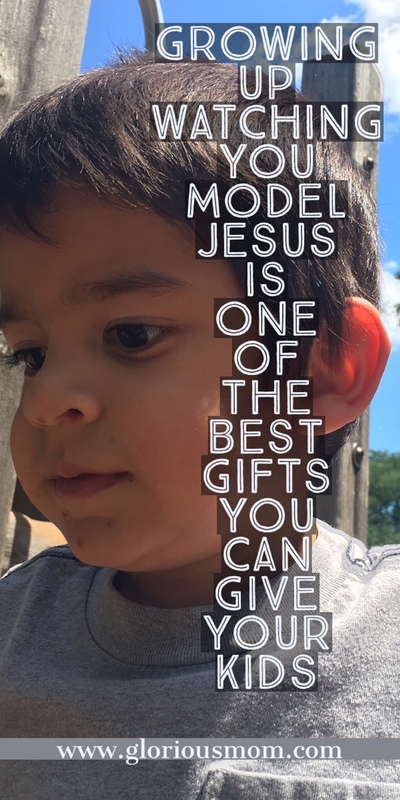 Growing up watching you model Christ is one of the best gifts you can give your kids. Second, every moment counts. Yes, serving your children is serving the kingdom of God, but do you really want to take a break from serving others until your kids are grown? I talk more about this in my blog post Diaper Blowouts and the Meaning of Life. You will find your life is more satisfactory and has more meaning when you are serving other people outside of your family. Even if it is only in small ways, letting yourself get consumed by your and your family’s needs for an extended period of time is not healthy. Third, this season will pass soon enough. 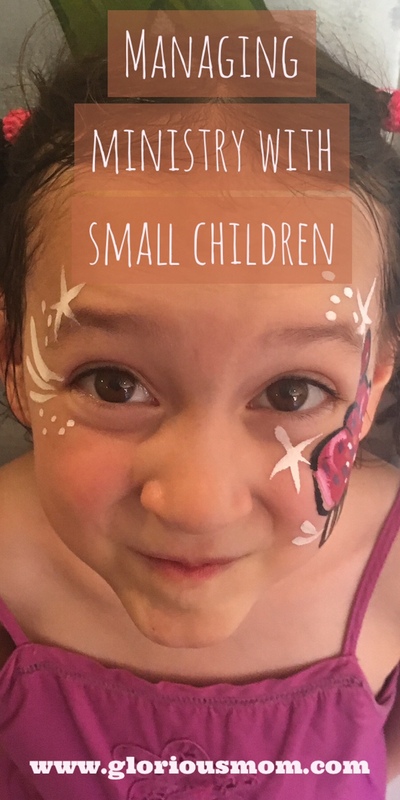 When your kids are small, everything is a ton of work and completely exhausting. It’s exhilarating also, as your children are charming and captivating and love you unconditionally. This stage is a whirlwind, but it isn’t forever. Make the decision now to make the sacrifices necessary for you and your family. Don’t say it isn’t possible. Believe me, I’ve done so many things that others consider impossible, and I’ve seen other moms do crazier things. Take a step of faith. I encourage you: doing ministry with small children is not only possible, it’s very rewarding. wow! thanks for this. You just taught me to push myself out of my comfort zone. You’re welcome! That’s awesome to hear.